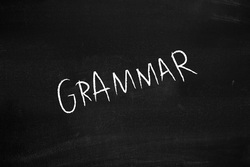 This is an intensive online grammar unit. You are to go as far as possible, while printing off every 5th assignment to submit to me inorder to show your progress. You are to only move to the next assignment when you achieve a score of 70% or better. hurting yourself in the long run! I'll be able to tell by your writing if you really did the work and your final test results will not lie. *All students must complete up to module # 5 by the end of the year. This means you may have to complete lessons on your own time. You will also have time in class and if you have any spare time in class (i.e. if you are finished all of your other assignments). If you complete module 5, you may move on and complete module 6.